A family vacation took me to The Happiest Place on Earth. It’s true what they say (paraphrased): There’s nothing quite like seeing Disney through a child’s eyes. My nieces and nephews, with their excitement level turned to 11, made for a magical couple days at Disneyland and Disney California Adventure. And I’m not going to lie: I found the Guardians of the Galaxy ride to be pretty cool. Plus, it’s just fun hanging out with family in sunny California. 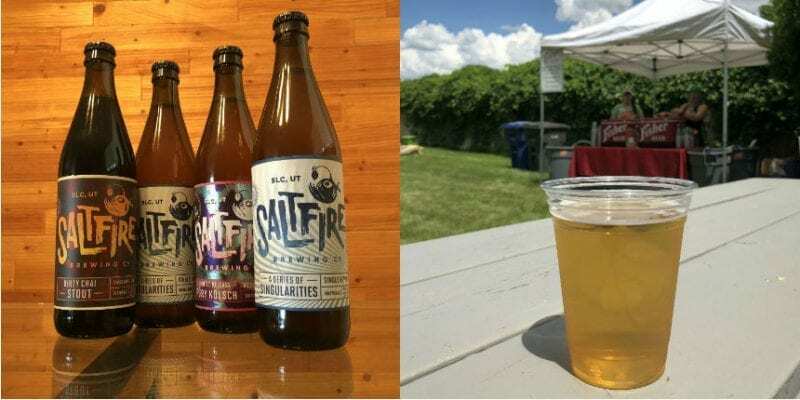 When not standing in line for thrill rides or churros, I took advantage of my time in Southern California to do a little beer tasting. 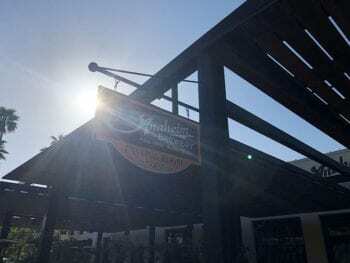 I actually stumbled upon the Anaheim Packing District toward the end of our trip. But it made for some of the trip’s best beer experiences. 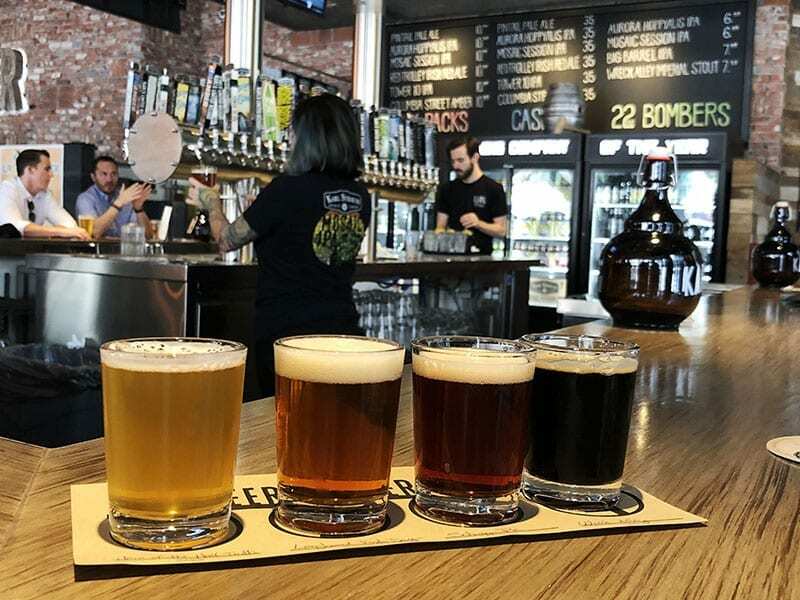 A communal gathering place in the heart of Anaheim, the Packing District features at least two breweries and plenty of other spots to enjoy a craft beer. 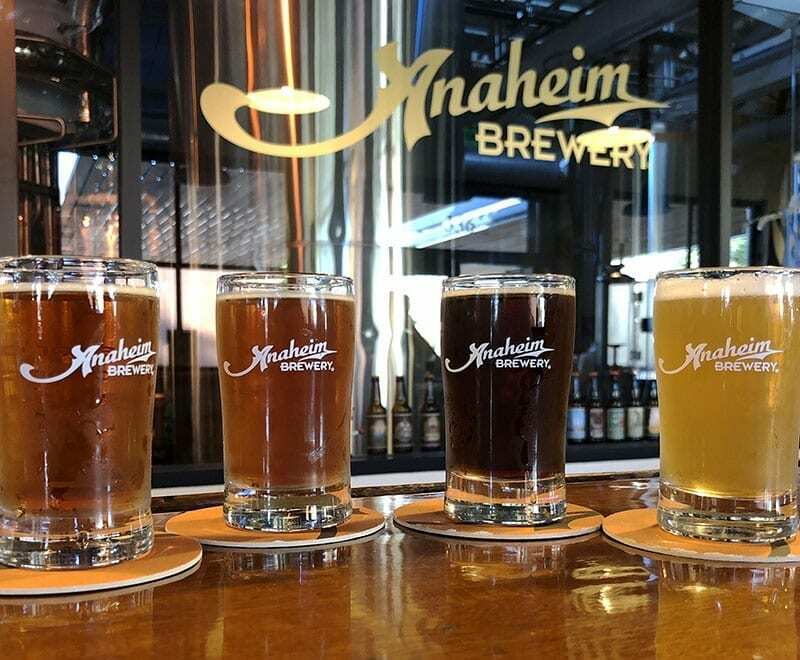 The award for the friendliest staff and perhaps tastiest beers goes to Anaheim Brewery. The original brewery, which dates to the 1870s, re-opened in 2010. It’s re-establishment obviously reminded me of A. Fisher Brewing Co.’s story, and the beers — German-style lagers — reminded me locally of Bohemian Brewery. I ordered a pair of flights, tasting all but one of the brewery’s nine current draft selections. Bonus: A free taster glass came with each flight. 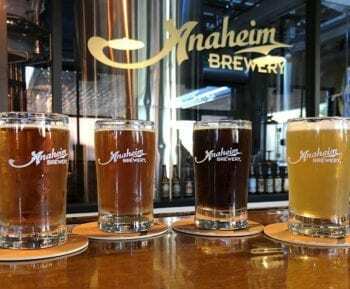 Anaheim Brewery re-opened in 2010 after 90 years. 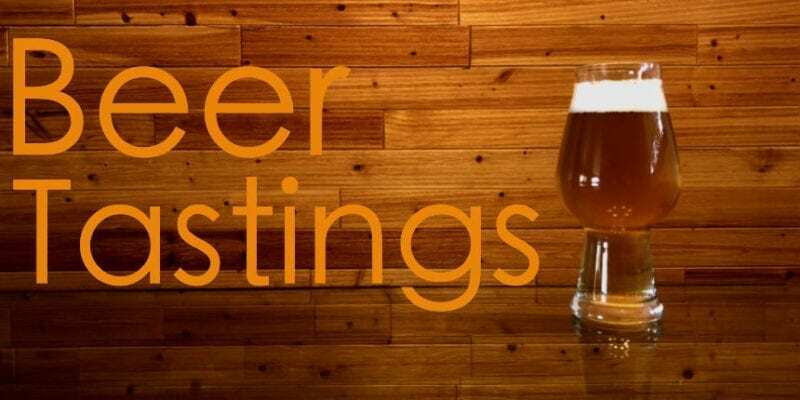 Its focus is German-style beers. The standout for me was La Morena, a Mexican-style dark lager. It pours a reddish-copper and delivers aromas/flavors of rich, toasted malt. 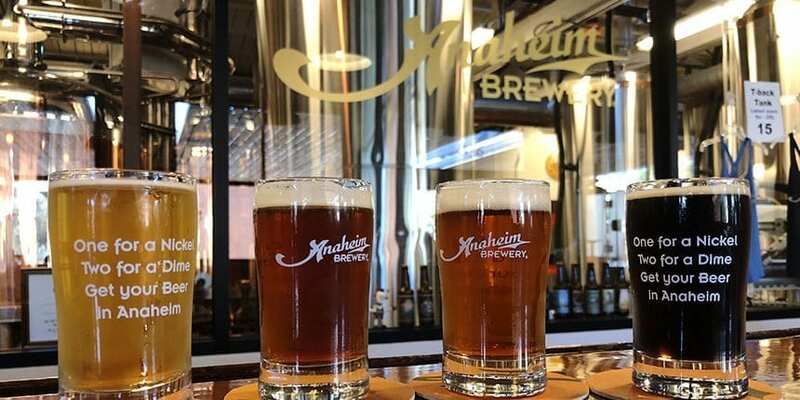 Also of note: the Anaheim 1888®, the brewery’s flagship beer, is a California Common based on a style brewed by the original 1800s brewery. It’s got a flavorful, biscuit-y maltiness, though herbal/floral hop notes are present. The tasting room is filled with nods to the past. The 30-foot wooden bar came from the turn-of-the-century Wagon Covered Saloon, which stood nearby. A mini-museum in the corner pays homage to the brewery’s heritage. Of special note, the two staff members behind the bar were delightful. 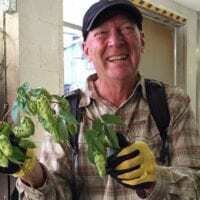 And they knew their brewery history, which is always pleasant for an out-of-towner interested in learning more about a place. Stone Brewing’s Enjoy By 07.04.18 packs a hop wallop. As a bonus, on my way out I ran into the brewers — Barbara and Greg — in the beer garden. They couldn’t have been more welcoming. 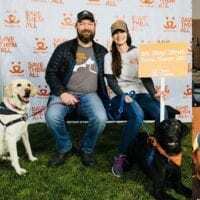 We had a brief but lovely chat about their beers (and they have a cool backstory). From there I took a short walk to The Iron Press, a waffles-and-beer joint tucked in a corner of the Packing House. The Packing House used to be an orange packing facility, but now it’s a two-story food hall. 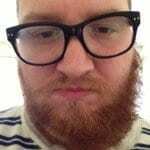 I tasted my freshest ever “Enjoy By” from San Diego’s Stone Brewing. I sipped a 10-ounce glass of Enjoy By 07.04.18 on June 5, just a few days after its release. The 9.4%-ABV, 90-IBU monster lists nearly a dozen “featured hops.” It’s a tropical delight. Two samples at Unsung Brewing: Struberry, a tart strawberry/blueberry mix, and the Exit Light Stout, part of the brewery’s “incubator” series. 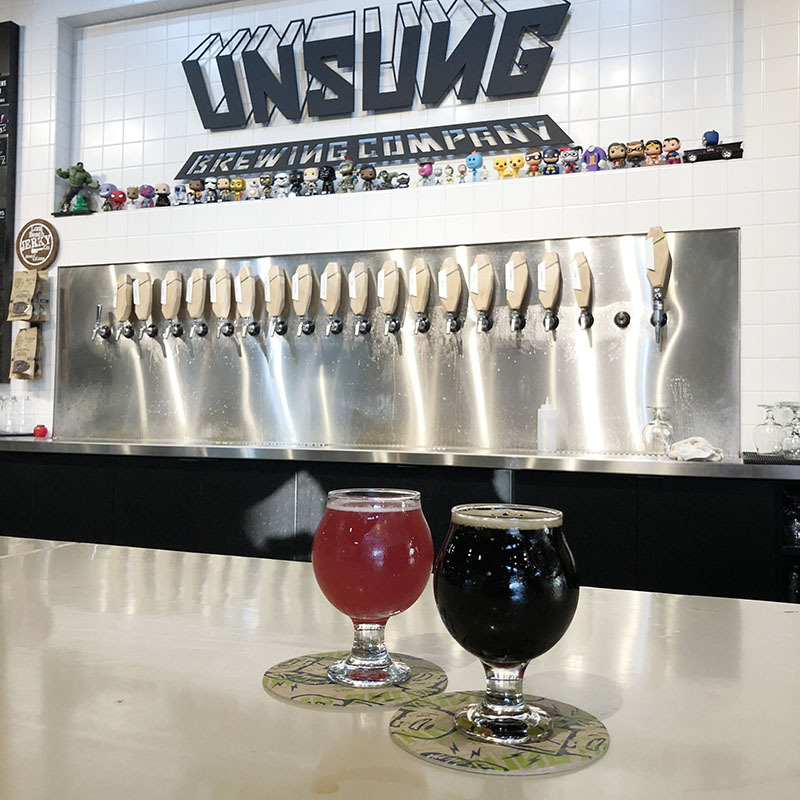 Finally, I headed across the way to Unsung Brewing Co. Its schtick centers on comic books and superheroes and the “pursuit of heroic beer.” I sampled a few brews, my favorite being the Exit Light Stout (#0067 in the “Incubator Series”). It’s silky smooth with a nice dark chocolate bitterness to it. 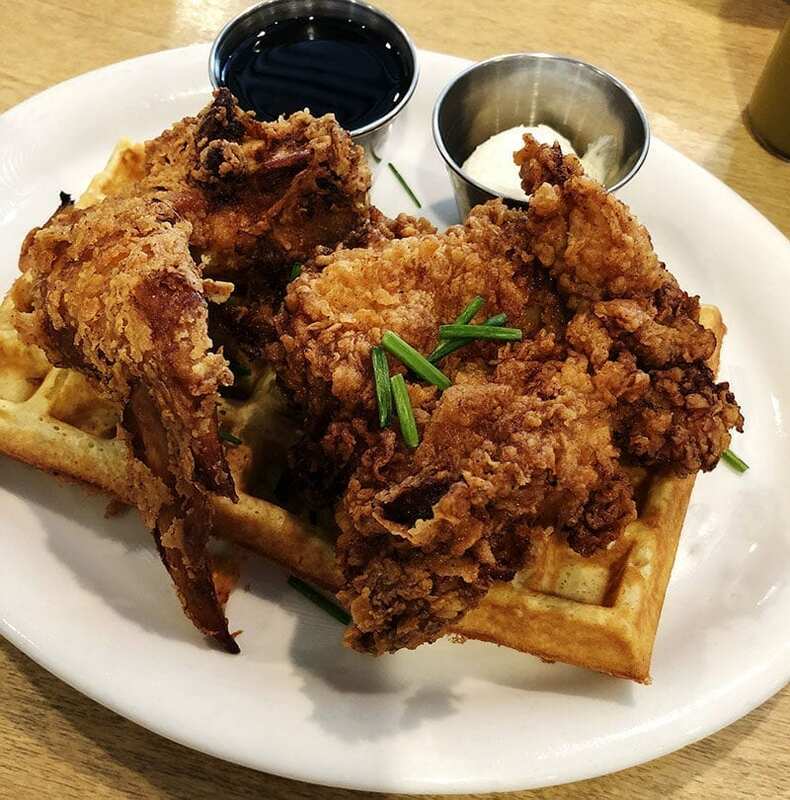 The chicken and waffles at Poppy + Rose restaurant in Los Angeles. The Framboise Rose Gose from Anderson Valley Brewing Company. Earlier in the day, my wife and I visited a longtime friend in Los Angeles. She also happens to own the Poppy + Rose restaurant. Pro Tip: If you’re in L.A., make a point to stop in and order a fried chicken dish (or probably anything on the menu, really). I chose the chicken and waffles with smoked honey butter. Delicious. 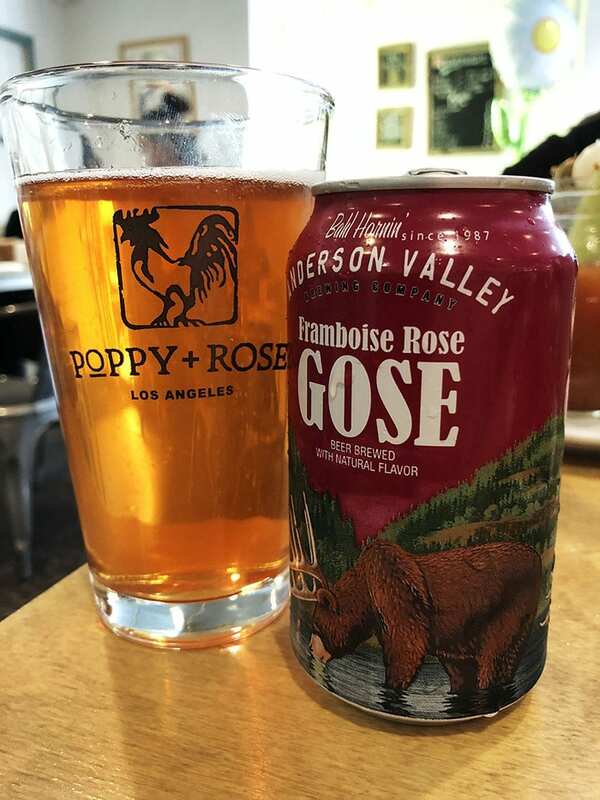 While the beer options aren’t extensive, I enjoyed a new-to-the-menu Anderson Valley Framboise Rose Gose. It’s a kettle-soured brew with notes of raspberry. It’s a nice blend of salty-sweet. Since we were in the neighborhood, we made the Karl Strauss Brewing Company our next stop. A taster flight of beers from Karl Strauss Brewing. 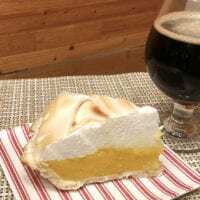 The Schugga Pie — second from right — is a kettle sour brewed with cherry and coffee. I sampled a flight of four beers, highlighted by the Schugga Pie — a kettle sour brewed with cherry and coffee. Definite cherry aromas and a sour cherry flavor give way to robust coffee at the end. I also enjoyed a pint of Isomerizer, a single-hopped (Mosaic) IPA. It’s what “everyone’s drinking right now,” the bartender mentioned. It’s a hoppy beer with plenty of citrus character. So that was the second half of the trip. The first half included decidedly less beer and far more thrills and chills. Sipping a Victory Brewing Company’s Prima Pils while listening to the cars zip by at Radiator Springs. 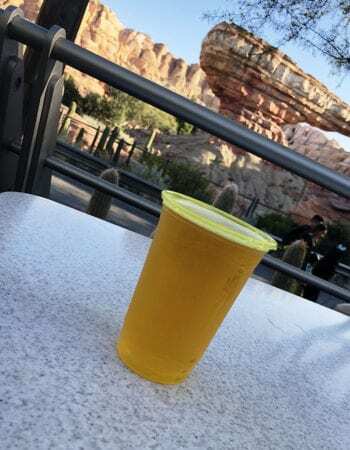 Yet, I still found a couple beers at Disney California Adventure worth noting. Two by Karl Strauss proved to be tasty respites from the hustle and bustle of the Mouse House. Tower 10 IPA is bursting with hop aroma and flavor. It’s a big citrus/pine beer (7%, 70 IBU), though it’s balanced with caramel malts to make it a relatively easy drinker. The Pintail Pale Ale provided a hefty dose of tropical aromas/flavors. It, too, featured a nice malt backbone to tone down the bitterness. I grabbed a classic Ballast Point Sculpin at Sonoma Terrace, and capped the evening with a Victory Prima Pils with dinner at Flo’s V8 Cafe. The latter proved to be a welcome change after drinking hoppy beers earlier in the day. 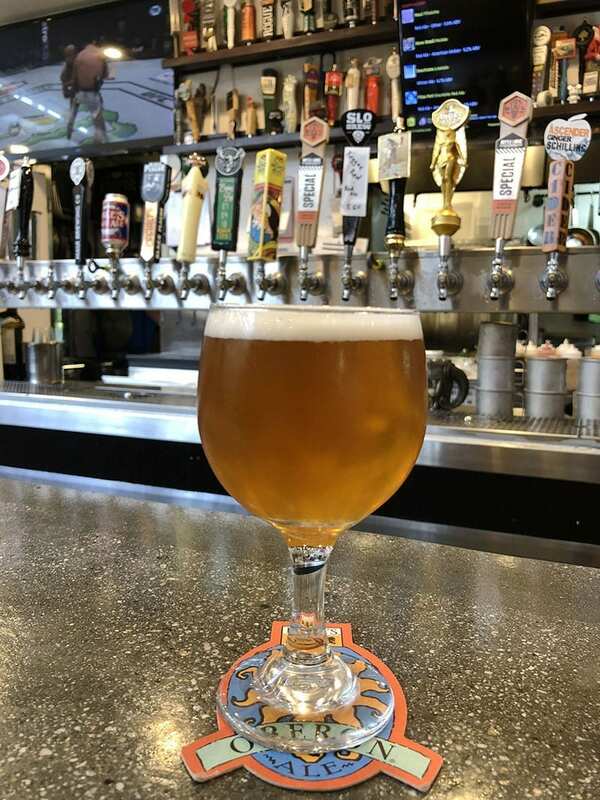 When Mickey says it’s time to go, Beer Travels by Utah Beer News must fly home. 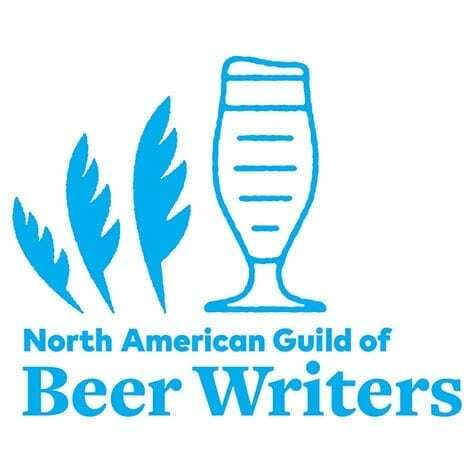 Though we only scratched the surface of craft beer in Anaheim, we had a great time tasting a few brews. This entry was posted in Beer Travels, Blog and tagged Anaheim. Bookmark the permalink.